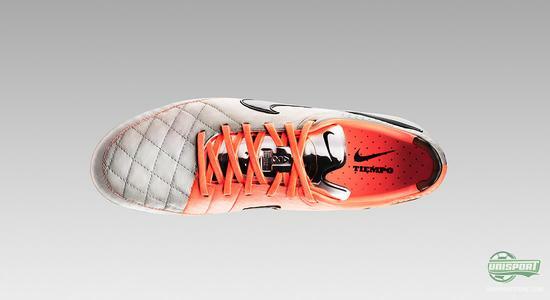 The new Nike Tiempo Legend V is one of the most technologically advanced boots to date. 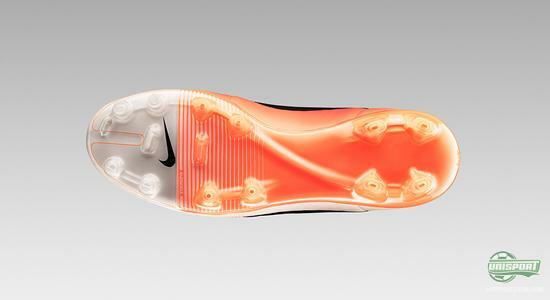 But even though it is a modern and innovative boot, it is still a boot with roots than run all the way back to 1994. 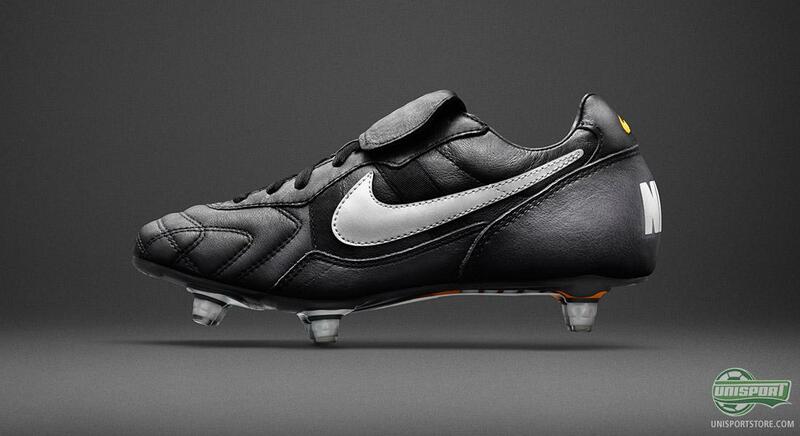 It all culminated today, on the 12th of December 2013, with the new Nike Tiempo Legend V. But the history and pedigree of the boots starts well before then. On the 17th of July 1994, Brazil and Italy faced off in Pasadena, Calif. Both teams had ambitions of winning the World Cup final and out of the 22 players, 10 of them were wearing Nikes legendary Tiempo Premier. In the classic combination of black and white, it was in every way a classic football boot, however the players who wore the boot, where far from calm and traditional types. 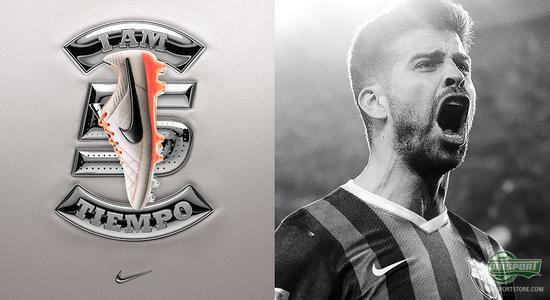 Names like Romario and Paolo Maldini were among the few massive players who graced the field of play in the new boot. The Boots were innovative, daring and over the last twenty years the Nike Tiempo boot has very much shaped the world of football and have been a part of history on the feet of some of the greats of football history. 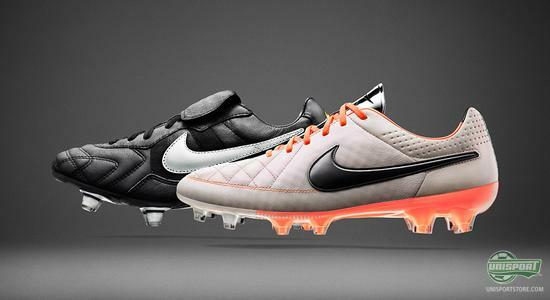 The Nike tiempo Legend collection, which we know today, started back in 2005, but the legacy created by the old boot from 1994 has always been apparent. The Nike Tiempo Legend V is every bit as innovative as the Nike Tiempo Premier was back in 1994, when it saw the light of day in Pasadena. 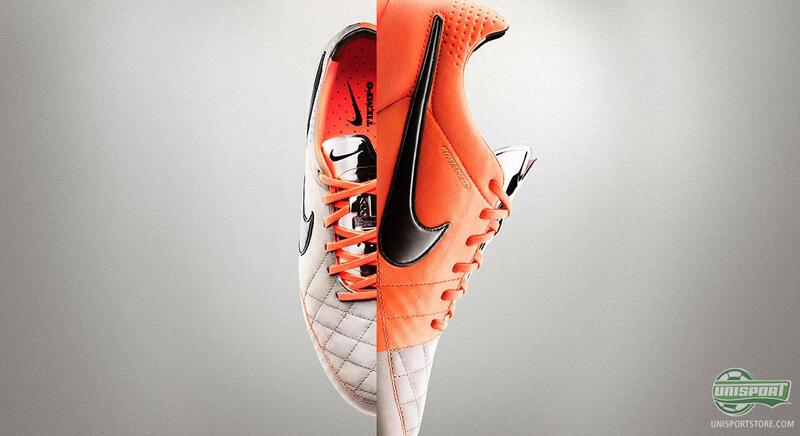 With the new Tiempo Legend V Nike have created a football boot, which is both classic and with a modern design, full of innovative and revolutionising technologies. The keyword with this boot is the lightest touch and Nike have managed to create a boot, which unites a sharp touch with very light weight. A lot has happened since 1994 and a lot has happened since the fourth generation of the Nike Tiempo Legend was launched. For two and a half years Nike have worked tirelessly to improve the already acknowledged and well respected boot and after plenty of blood sweat and tears, we have the result, which is the Nike Tiempo Legend V.
On the boot you will find the innovative Hypershield, which is a three-split upper that is developed to reject water in order to prevent the leather from taking up water. With this addition, Nike have managed to create a leather boot that comes with the advantages the you normally just find with synthetic boots. The new adjustments on the Nike Tiempo Legend V are not something that you can just feel, the results will also show in the test lab. 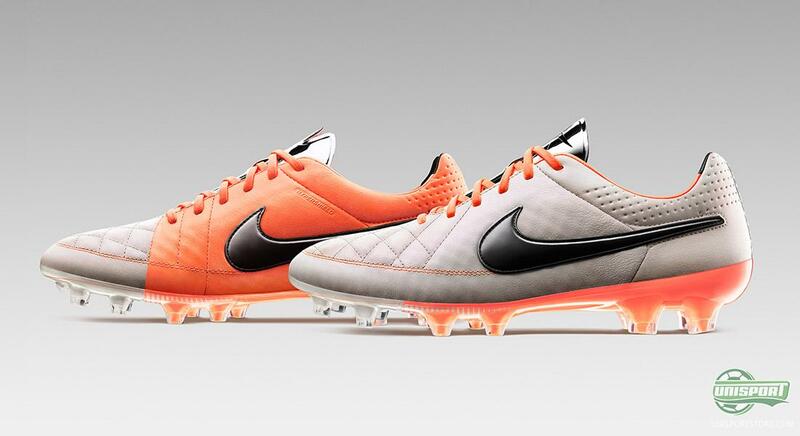 The fifth generation of the Nike Tiempo Legend absorbs 73% less water when compared to the Nike Tiempo Legend IV, the material dries 24% faster, and the upper is also 88% stronger than the Tiempo Legend IV in Nike's own tests. 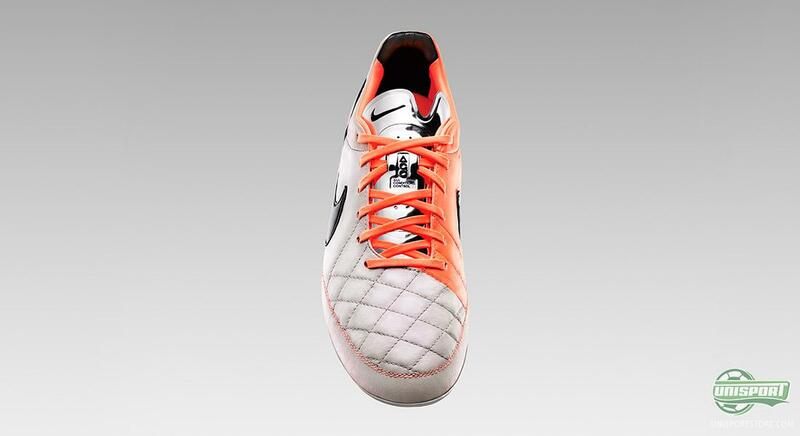 The comfort is a top priority on the new Nike Tiempo Legend V and around the forefoot Nike have added more stitching. This serves to keep the extremely soft kangaroo leather soft without over-stretching and losing its shape. The result is an overall comfort the is both durably and is something that we could go on praising. For the stud configuration, Nike have chosen to mix the round studs in front with bladed studs around the back. The round studs provide better rotation and distribution of pressure, while the bladed studs in the back ensure good stability. Furthermore, the studs have generally been made slightly wider, which serves to improve the overall pitch grip. Nike writes another chapter in their long tradition-rich football boot history with the Nike Tiempo Legend V. it is a boot that shows how far Nike have come since 1994, and how much they preserve the legacy with a belief in progress, new opportunities and improvements. 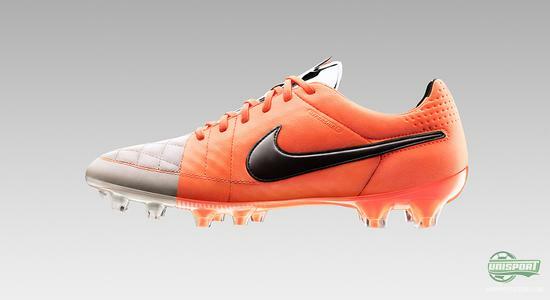 The new Nike Tiempo legend V is a modern boot that also celebrates its heritage, which dates back to 1994 and the iconic boot, the Nike Tiempo Premier. What do you think of the new Nike Tiempo Legend V? And what do you think of the design? Feel free to leave a comment either here, or on Facebook and Twitter.